William Hammond, on an increasing threat to trees in the USA and elsewhere - drought and the embolisms it causes. Lanky grey skeletons stained the landscape before me, now tall lifeless masts, fading shadows of their former green glory–there were dead trees everywhere. Ponderosa pine, pinyon pine, and alligator juniper snags coated the mountainsides. I was in northern New Mexico, in October of 2016, when I saw for the first time with my own eyes what widespread tree die-off looks like. My mouth was agape as I considered how long it had taken these charismatic megaflora to become the dominant landscape figures they must have been in the prime of their lives. Even in death, they dominated the view, towering above anything living. During this trip, I would travel to multiple sites and bear witness to forest die-off events spanning the last seventy years. 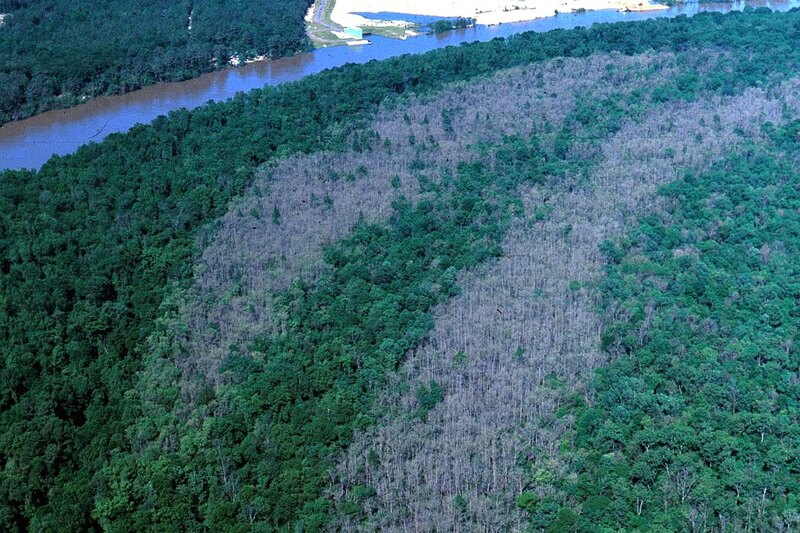 Drought, insects, and fire had all played roles in the ongoing decimation of these forests. Something about seeing these corpses first hand was gripping, as photographs fail to convey the enormity of it all. Tree mortality in northern New Mexico. October 2016. 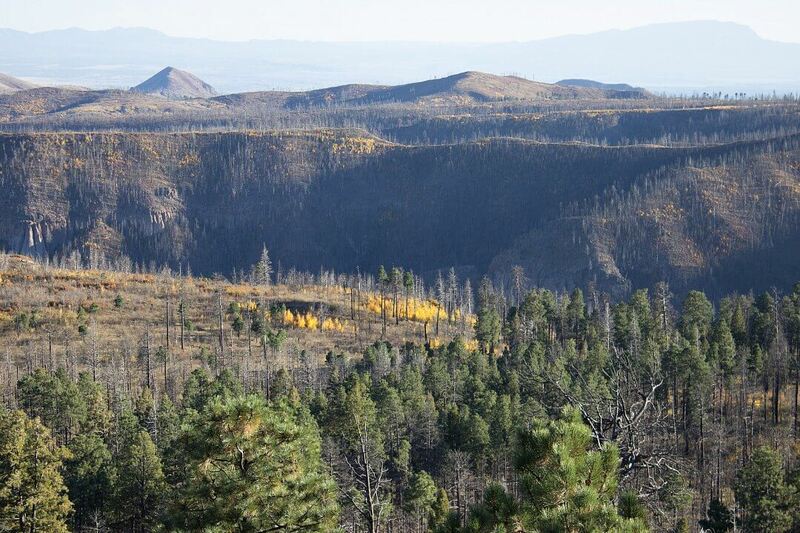 This area burned during the 2011 Los Conchas fire. Photo: William Hammond. This is an exciting time to be studying the mechanisms behind tree mortality. Much is known about factors that contribute to tree death, but one of the largest sources of uncertainty in most vegetation models remains the fate of the terrestrial carbon sink. 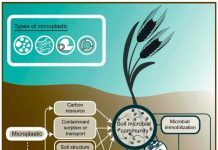 Without knowing under what conditions trees will persist, or die-off, predictions for how much carbon will be captured by land plants remains uncertain. Forests dominate this terrestrial carbon sink–diligently working to capture ever-increasing concentrations of atmospheric carbon dioxide. When millions of trees die in a short period of time, these behemoths could switch from being a carbon sink to a carbon source. Better understanding #WhatKillsTrees will help to refine our ability to predict the fate of global forests. Research has been conducted highlighting interacting pathways to tree death: hydraulic failure, carbon starvation, and biotic attack. My research is focused on hydraulic failure. Trees rely on a continuous column of water in their xylem from its uptake in the roots to evapotranspiration in the foliage. As this water is pulled against gravity by evaporative demand at the leaf, any break in the column of water will render the pathway functionally useless to the plant. 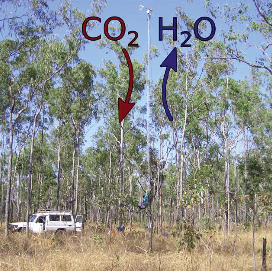 When water availability declines in the soil, atmospheric demand for moisture rises, or both happen at the same time, the column of water in a tree can experience significant tension. 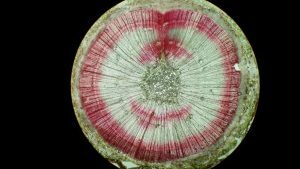 Cavitation occurs during water stress when xylem tensions become so negative that the water column snaps allowing an embolism (air bubble) to form. 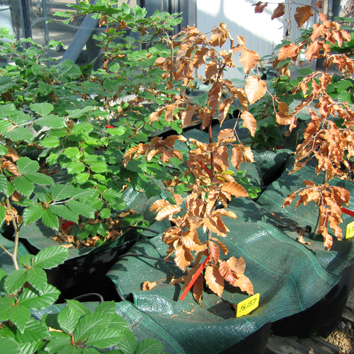 Intensity and duration of water stress can lead to widespread cavitation in the stems of trees. 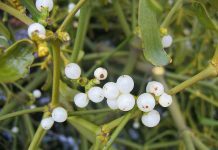 At some point, this accumulated loss of the ability to conduct water through the plant can become lethal. My research sets out to identify this threshold. In order to quantify impacts of water stress, many methods may be employed. I recently returned from a Methods in Plant Water Relations workshop (funded by NSF & the ESA Ecophysiology section) in Idaho (shout out to #Idahydraulics2017), where I was able to learn several methods for evaluating plant response to water stress from experts in the field. I applied to attend the workshop to gain knowledge on methods in plant water relations, but it is worth noting that the best part of attending was getting to network with so many people who are passionately pursuing research questions in the same sphere. One year into my PhD, I felt like I had finally found my people. 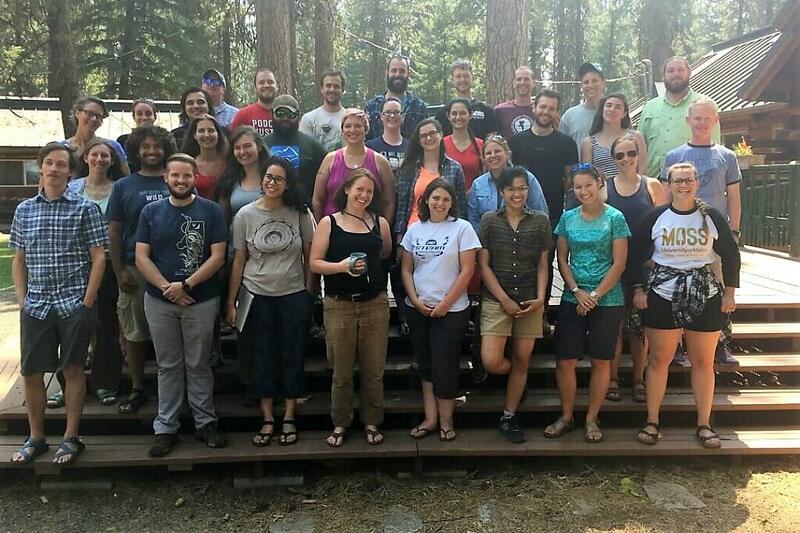 Image: Graduate students, post-docs, and mentors gathered from around the globe for #Idahydraulics2017 — a NSF and ESA Ecophys funded workshop on methods in plant water relations in McCall, Idaho. Tension in the xylem is often measured using a pressure bomb chamber. 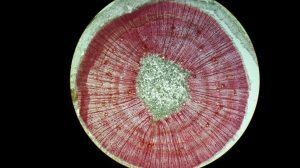 By adding pressure equal to the xylem tension when a sample was cut from the plant, water will emerge from the cut end of a sample as in the tweet below. As trees undergo increasing environmental stress, larger proportions of xylem become cavitated until the tree can no longer supply the minimum amount of water required to survive. This relationship between xylem tension and cavitation has been characterized with vulnerability curves, which plot the percent loss of conductivity (PLC) along an increasing xylem water tension (a more negative water potential, see below). Vulnerability curve for Pinus taeda, Loblolly Pine. Generated with assistance from Kailiang Yu and William Anderegg at the University of Utah. In trees naive to drought, as water potential decreases, the percent loss of conductivity rises. At some PLC, these curves show a dramatic threshold-like response: a point of no return for species which cross this point of stress. 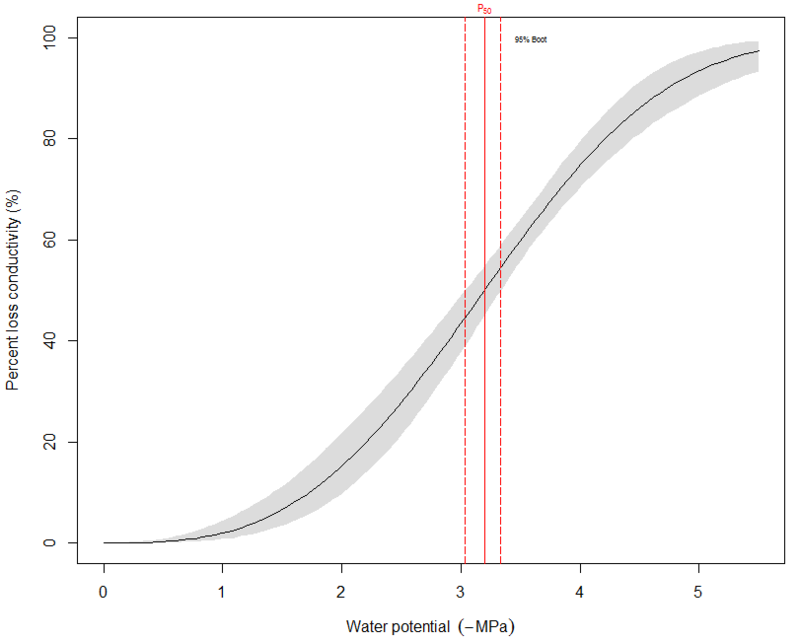 The relationship between water potential and PLC can decouple during subsequent drought. This can be demonstrated via a technique called active xylem staining. By pulling dye through a section of droughted stem, only tissues still conducting water will take up stain. This allows the visualization of embolized pathways in a cross-sectional view of the stem. Dr. Anna Jacobsen provides an extremely helpful guide to this method here. This guide was contributed by Dr. Martin Venturas, whom I had the pleasure of learning Active Xylem Staining from while at #IdaHydraulics2017. Two Pinus taeda saplings, at the same water potential (-0.50 MPa) stained and cross-sectioned. The stem on the left was exposed to near-lethal drought stress, was rewatered, and recovered. The stem on the right never experienced drought stress. While their water potentials would infer a very low PLC, the stem having experienced drought retains embolized xylem. When water returns to a plant under drought, the remaining functional xylem equilibrates to the new, higher water potential in the soil. Embolized conduits in trees have not been observed to flush or refill, and this remaining embolism after re-watering is a functional legacy of drought (see images above). Increasing conductive area requires growth of new, water-filled xylem pathways. As one might imagine, when trees are operating with a high PLC (even in the presence of available soil moisture), they are more vulnerable. As future climate calls for an increase in the frequency, duration, and intensity of drought in many parts of the world, understanding the mechanisms by which hydraulic failure contributes to tree death feels urgent as ever. Whether working at a field site, greenhouse, or in the lab, I often think of the mountains of New Mexico covered in steely grey snags. More tree mortality is coming, and we must urgently work to understand mechanisms, enabling more accurate predictions of what areas are most at risk. Growing after attack: what predicts tree responses to herbivores?